Twenty-one radio-telephone calls between New Zealand, the United Kingdom, and Australia were handled between noon and 10 p.m. on Saturday, the first day since August, 1939, that this service has been available. A further 21 calls were waiting to be completed when the service closed down until noon today, and already from the New Zealand end six calls had been booked at an early hour this morning. 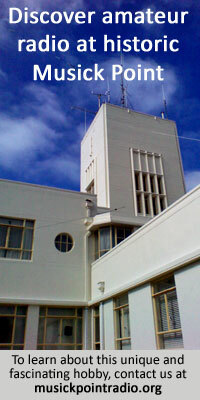 The service, which then included connection also with most European capitals, was instituted in 1931 and and rapidly became popular, the average daily number of calls before the war being 12 each way, about 50 per cent, of them being between New Zealand and the United Kingdom and the rest between New Zealand and Australia. The first call at the Wellington end was between the chief postmaster (Mr. W. D. P. Norris) and the toll traffic superintendent at the G.P.0., Sydney (Mr. J. Adam). The operator who handled the Wellington end of the call was Mr. T. W. Leo. who put through the last call when the approach of war led to the termination of the service in 1939 and who has since spent five years overseas in the Air Force. There was a fading in the circuit at about 8 p.m. on Saturday, making it temporarily unusable, otherwise the service proceeded without hitch. This fading, probably caused by atmospheric conditions, was noticeable on several occasions before the war. Traffic centres for calls to and from the three countries concerned in the service are Wellington, Sydney, and London. At the New Zealand end incoming voices are received at Makara and outward conversation transmitted from Tinakori Hill. Only one channel is used for voices from either direction, an automatic device making the necessary change according to the direction of the voice. A scrambling device which makes low notes high and high notes low prevents radio listeners from hearing the conversations.